Keynotes that get to Aha! Want to inspire, align, motivate, or educate your audience at a conference, meeting or retreat? Align4Profit’s Helanie Scott delivers live presentations tailored to small or large audiences and aligned to your meeting theme or talent management objectives. 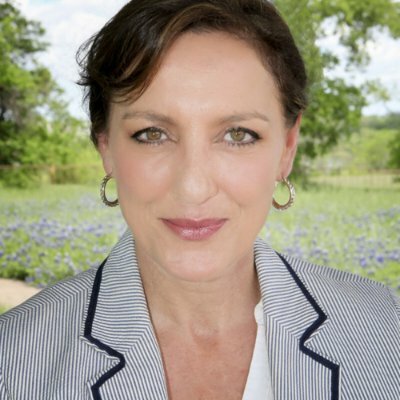 Helanie Scott is CEO of Align4Profit in Dallas, Texas. Her tenacious spirit and passion for excellence make her unsurpassed as a change agent, transformation specialist, high performing team developer, and successful entrepreneur. She is energetic and straightforward with the experience and commitment to deliver. Helanie (pronounced yeh-LAH-nee) has driven stunning leadership and cultural transformations for an impressive list of organizations. She has mastered the ability to connect with her audiences in the boardroom, classroom, on stage, or in one-on-one coaching sessions. Helanie’s Align4Profit clients rave at the way her engaging programs freshen outdated mindsets and her facilitation and training style deliver results-oriented, aligned action. Have you ever witnessed the differences between the leader who passes out pats on the back versus the leader who constantly dictates? Success always seems to follow the former with much more ease than the latter. Connecting with others is an invaluable leadership practice, yet connecting with others in a way that inspires High Commitment and High Performance can be a daunting task. In this session you will learn to use the powerful Performance Switches that motivate and inspire profitable performance. It’s tough to interpret the many forms of behavior and communication teams display every day. As leaders navigate through multiple projects and so many people, committees, teams dynamics and daily demands, it’s little wonder that winning the game can become a frustrating challenge. Expecting, recognizing and navigating past negative games with the right set of tools can make all the difference in the world when it comes to aligning your team. Often individual team members do not fully understand how their work contributes to the greater good and goals of the team and the organization. With the right alignment to profit-generating priorities, your teams can exceed not only their current level of performance, they can also grow their customer base and positively impact their bottom line. Alignment is the key to Profit, and Profit is more than moolah! Learn how to Align4Profit! When a pink elephant is present, the room can become quite crowded and the mood unsettling. Although pink elephants are not that hard to spot, teams often find them difficult to expose. That takes courage, commitment and tenacity. Learning and tapping into your internal source of “Feel. Think. Act. Talk. Listen.” skills will help you conquer any issue. Using REAL communication, you can move beyond discomfort and tactfully address the issues, while strengthening and aligning your team. Sometimes, from the leadership seat, we try to do so much controlling that we lose sight of the abundance of skill and talent that surrounds us. Throwing the steering wheel out the window is the symbolic act of loosening control, using the resources you have, and empowering those around you to grow and lead. While losing control may be something you greatly fear, the alternative may be much worse. Often work performance is good, but not improving. When this occurs, the environment can easily be defined as stagnant. With the ever-changing demands of our economic environment, customer desires and market demands, stagnant is not a position you can afford to maintain. Just as one creates movement on the still waters of a lake by skimming a stone, you too can create movement with two very small yet significant stones that motivate and move people to action. Teamwork is often much easier said than done. But there are tactical skills, processes and procedures that can greatly improve successful teamwork. And not necessarily the ones you may be thinking. When looking for the right formula, it is easier to learn from the success of others. This session offers an in-depth look at some successful organizations that moved their teams from a group of I’s to a unit of We. Learn from their experience. If you’ve ever read a description of a shoe rack, you know it offers a variety of benefits. Designed to help save space, it lines products up and accommodates all types of shoes. Built so you can add to it or customize it, a good shoe rack easily displays your collection. Today’s technology offers ways to gain a shoe rack of benefits for team training and alignment. Explore the 21st-century toolbox to acquire new ideas and perspectives for team learning, goal alignment and sustainability. Consider the most burning issue challenging your organization and Helanie will consult with you and prepare your unique Customized Keynote to address it. When you are completely satisfied with the content and approach, set the date, and get ready to wow your audience! Let’s get started! Helanie is a dynamite and passionate consultant, facilitator and trainer. The energy she brings is contagious and the authenticity with which she wants everyone to leave her sessions with true learning is powerful. Helanie’s unique blend of energy and enthusiasm is a key catalyst in her ability to coach and mentor leaders at all levels of an organization. The result she is driving towards is very real: leadership change that drives cultural change among the greater whole. I would not hesitate to recommend her to any organization that is looking to make long-term, positive changes that will drive team success. —Jason L’Odense, VP, Information Technology at Mobile Mini, Inc.
You are a “dream.” A great role model and approachable. I appreciate your help and involvement! It was a good event and you helped make it so. All the people that I talked to really, really found it timely and gave them some good things to think about. Bravo!